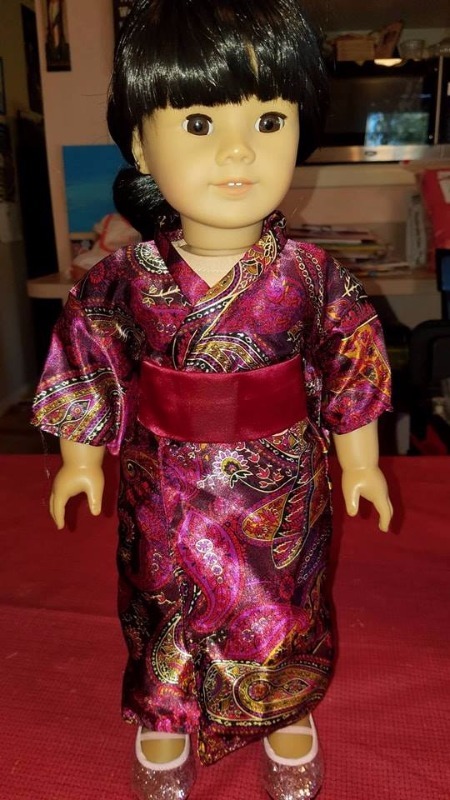 Read Creation's Kimono PDF pattern will give your 18" doll, like American Girl® Dolls, an Asian flair. Not interested in a Kimono? 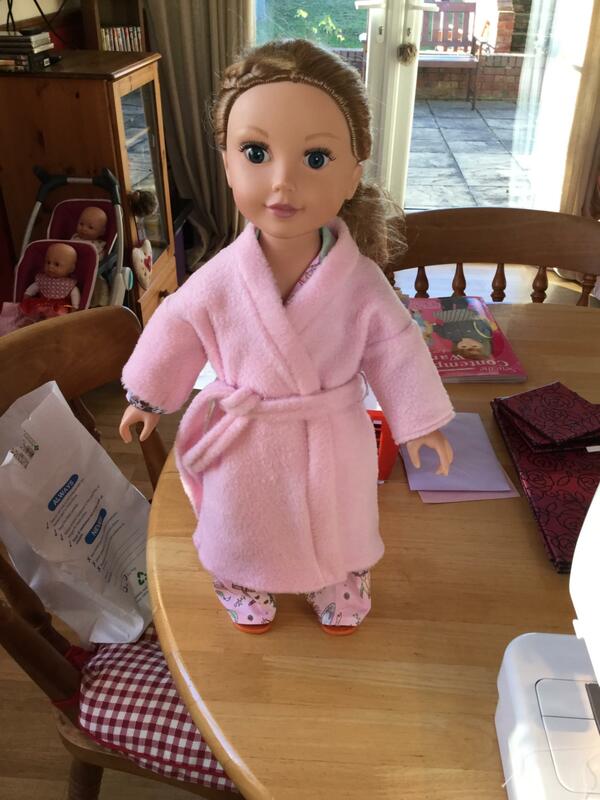 Turn the pattern into a warm and snuggly bathrobe! Instructions for both options are included. This pattern is very easy to sew and is perfect for a beginning sewer. Bonus instructions on how to make the belt (Obi) and shoes (Geta) are also included. -1 yard of brocade, silk, cotton or similar fabric. Easy to use pattern. Finished product looks great. This pattern is very easy to follow and sew...all straight seams. I did have a bit of an issue when I cut the nicks for the sleeves ( my fault I cut at the wrong place so be careful ). But it still went together nicely and looks stunning on my doll. I used quilting cotton in an all over pale green print. I had a ribbon the correct width and did not make the obi. I do plan to do so, and make the Gita as well. 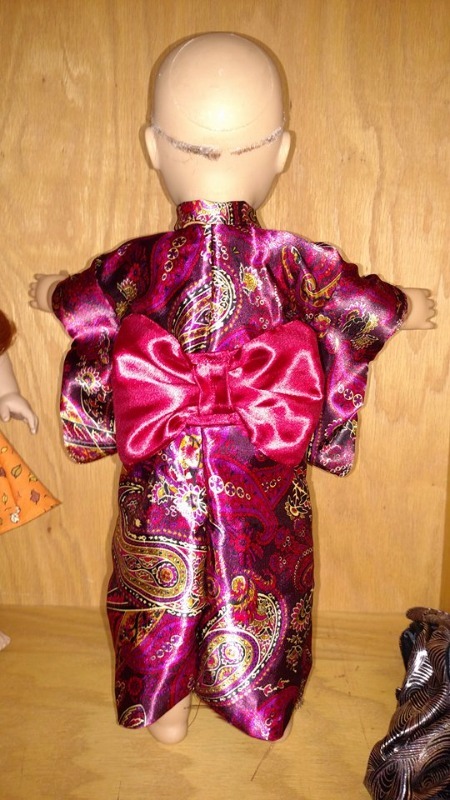 I want to get a lovely silk brocade to make a dress kimono next! I loved this pattern. I made the kimono. It was so easy and it had quite a stunning end result. This pattern was easy to sew and turned out great. I will be making more Kimonos in other colors!